It’s NFS Payback turn, The AAA Video Game from NFS World. No difference which class your are intrested in, in NFS Payback, you can head into 5 different classes such as; Race, Off-Road, Drag, Runner and Drift. + What is $5 cashback ? Every account has a wallet credit that users can top up it and use it only with one-click to complete orders. 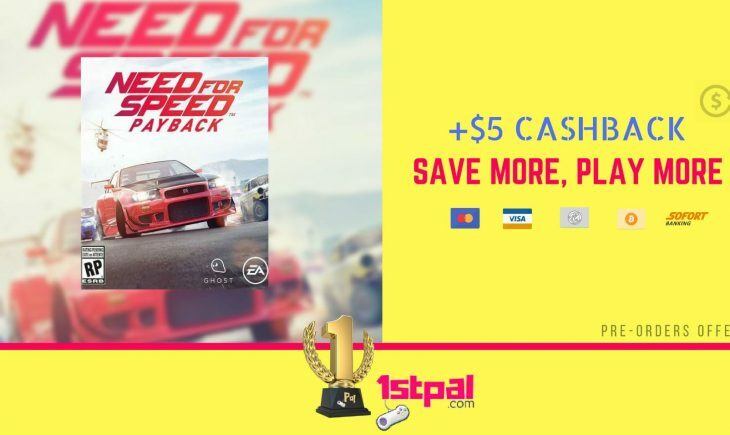 So, customers who Pre-Order Need for Speed Payback Key before release date will receive $5 Cashback in their wallet and could be used for buying other games free. Find derelict parts scattered throughout the world. Collect all the parts to turn your piece of scrap into stock. Take your customization further by turning your derelict into a super build. Any more questions about Need for Speed Payback Origin Key ? contact us by sending a ticket or a message on Live chat platform.